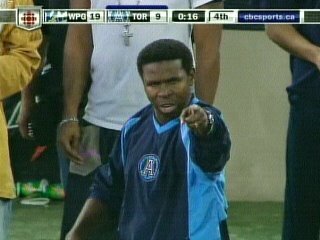 Was watching a football (Canadian game... Toronto Argos) game today and it reminded me of hearing Pinball Clements (a hugh football star) the other day. He said the thing that defines him is not all the fame, or the family (solid) or the trophies (many) or the hall of fame (huge)... the thing that really gives him value is that he is a child of God. It seems like an impossible question - impossible response... but the truth of it is that it is also very simple. Jesus said if you love me you will do what I ask. Do what he asks. Live your life back to the one who poured it all your way... responsive living. I'm into it. Fall and the beauty of death.